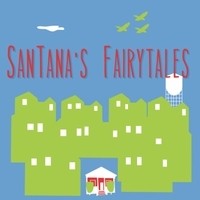 This a collection of music created by Gloria Estrada and Ruby Castellanos for the stories of SanTana's Fairy Tales by Sarah Rafael Garcia. Artwork by Carla Zarate. Music composed by Gloria Estrada, who is supported by Santa Ana local singer/songwriter Ruby Castellanos.